For each client we provide free visit engineering and consulting in the field to choose the type and brand of air conditioning. 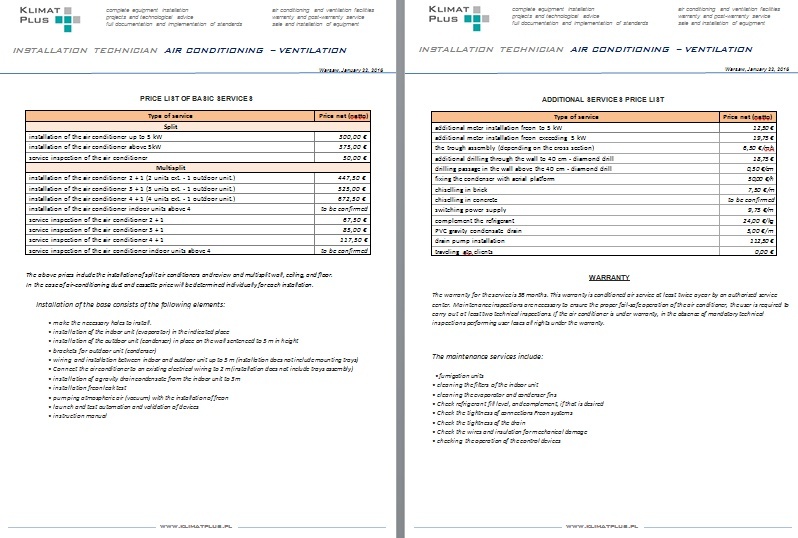 Below is a preliminary price of installation of air conditioning. If you decide to purchase equipment and installation by our company – a guaranteed discount of producer prices.